This software is based on the excellent CCSDS library of Paul from Australia. Next, indicate the need for procedures de-randomization and Reed-Solomon decode. Press -> Process for start. * If you use my program Binreaders for recording data from SLM-7650 modem, the correct name of the file will be created automatically. In a log window, you can see information about the processing of frames. But be aware that the output of the complete information increases the processing time! You can change it for other virtual channels (VCID). 1. Search ASM (synchro markers) 1A CF FC 1D and de-randomization. 6. Creating .hpt file for Metop-A/B or file .C10 for chinese FY3A/3B. The resulting .hpt or .C10 files you can view using the excellent program HRPT Reader by David Taylor. 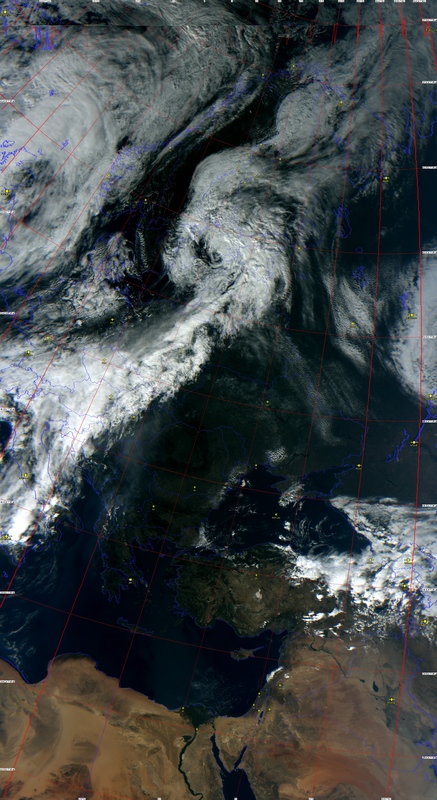 The beta version HRPT Reader support the chinese satellites FY3A/3B/3C, also support satellite Metop-A -B. ( *** Please, uncheck De-Randomization during processing this FY3B file !). The software is available for download here: MetFY3x Processor. Previous beta version available here: MetFY3x Beta. (added Meteor MN2 processing, re-design ASM search algorithm). ( ***** Please, uncheck Settings->MeteorMN2-> Manchester decoding, if you not have manchester encoding file ). Updated beta version v.0.4.4 MetFY3xBeta044 (added command line for remote processing). MET_n if this parameter is present, for Metop processing use APID104 (nigth). After successfull processing, program form close. Updated beta version v.0.4.5 MetFY3xBeta045 (added Metop-C satellite to processing).